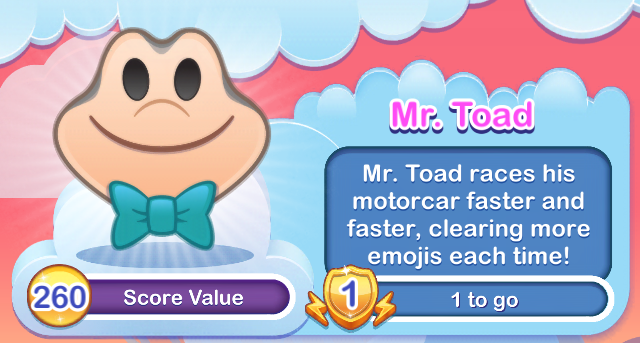 Mr. Toad races his motorcar faster and faster, clearing more emojis each time! Did someone call for a driver? J. Thaddeus Toad, Esq. is driving his motorcar on a meandering ride to nowhere in particular. We recommend that emojis get out of his way. With each use of his power, he drives even faster! 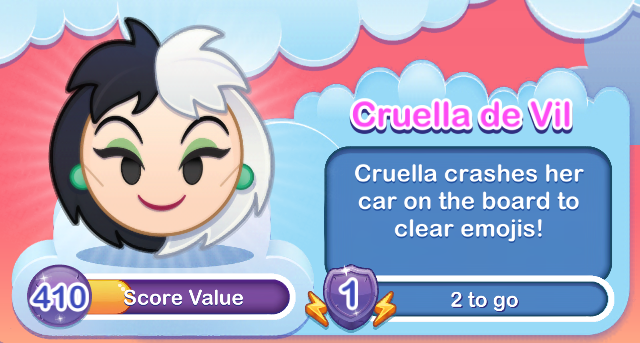 Cruella crashes her car on the board to clear emojis! Cruella drives a very distinctive red and black Coupe. She drives it right through the board! Tap to glitch and clear rows of emojis! 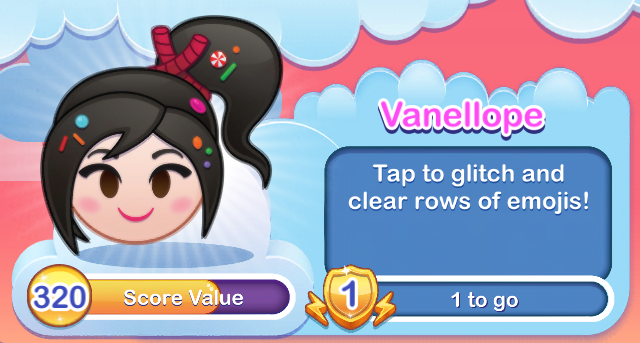 Vanellope von Schweetz has a programming glitch, and that is what makes her unique. As she races across the board in her custom-made candy car, tap the board to see her special power.